I’m going a bit left-field and saying HEL, just based on the design of the no-smoking sign. Bingo, it is indeed Hamburg. Unfortunately no longer a BA destination. It use to fly here, if not by BA, at least under one its former names. Sorry if you have been waiting for me for the next game. 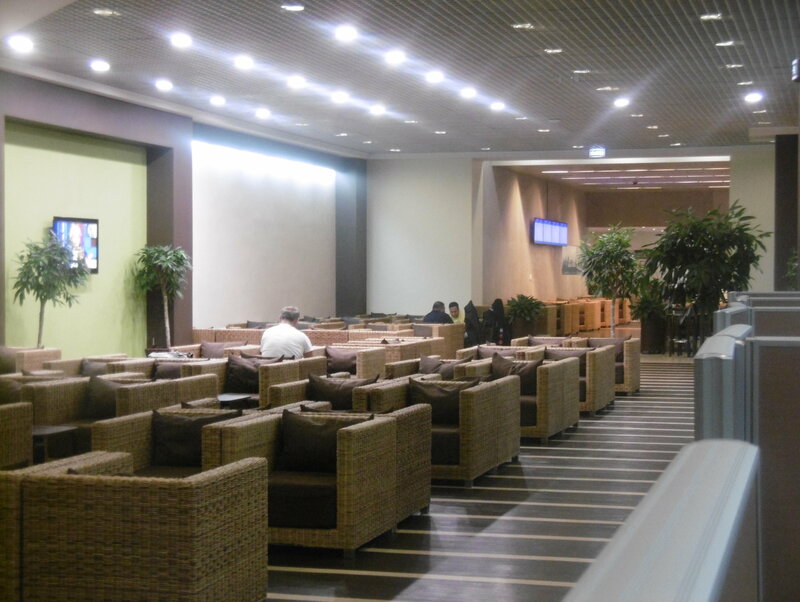 I have very few photos of airports, usually I am too busy eating and drinking in the lounges to take any . Have had to crop the photo to avoid making it too easy but left enough in there for you to guess. Bit of a long shot but is it PEN? Well Done, it is Penang. 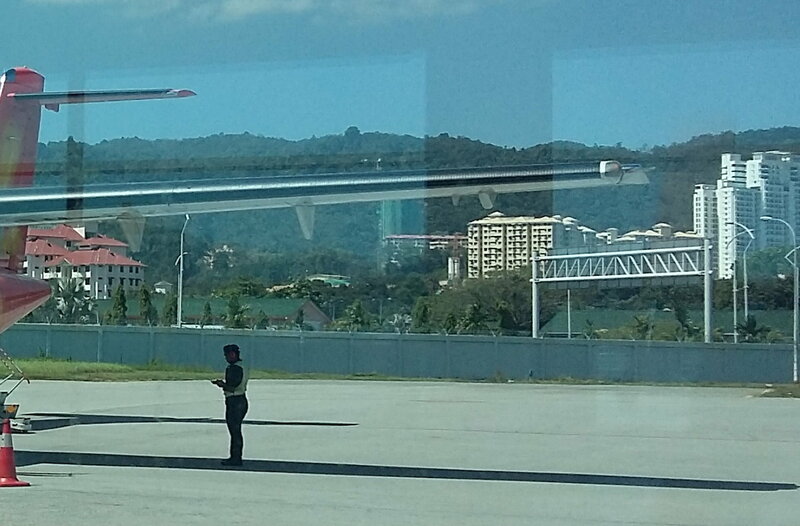 The cropped plane is a Firefly ATR-72. Great destination, wonderful food. 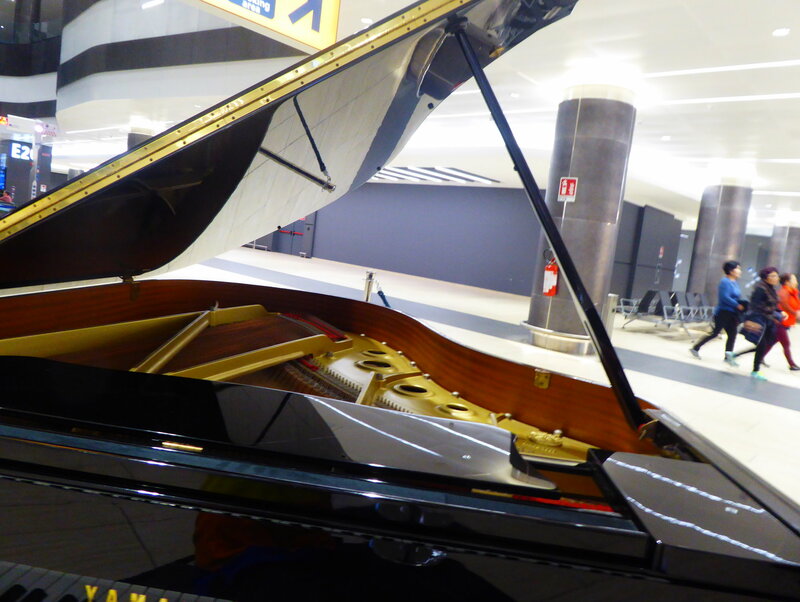 Through the piano at which airport?